Leganés will host Real Madrid match in the La Liga starts at Estadio Municipal de Butarque stadium on Monday. 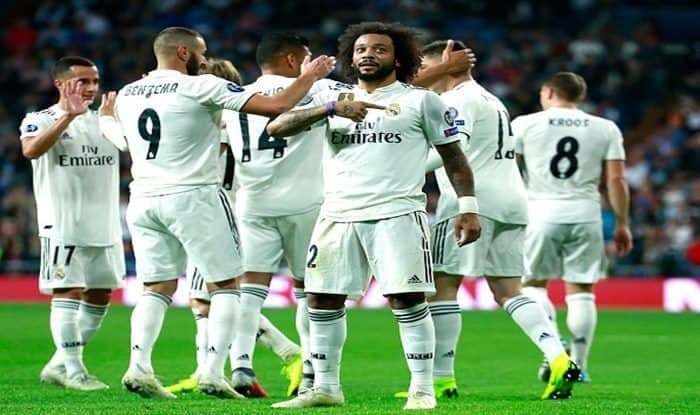 La Liga (Spain’s top-flight football league) minnows Leganes are all set to host Real Madrid at the Estadio Municipal de Butarque stadium on a Monday late night fixture. Real Madrid coach Zinedine Zidane’s second stint as the club has begun on a bittersweet note as the side have lost two of their last five La Liga matches. The Frenchman will aim to turn the fortunes of a side, who have been in a lowly form this season. Having already been eliminated from Champions League, Copa Del Rey and realistically, the La Liga title race, the signing of Zidane could not have come at a better time; the team really needed a change of aura. If Zidane can replicate the even 50% of the accolades he earned with the club at his first stint, it will be considered a successful spell. It will be a tricky fixture for the Los Galacticos but on paper, they are favorites when they take on Leganes. What time does the Leganés vs Real Madrid match in the La Liga 2018-19 season start? The Leganés vs Real Madrid match in the La Liga starts at 12:30 AM IST, 15th April (Monday late night). Where is the Leganés vs Real Madrid match in the La Liga 2018-19 season being played? The Leganés vs Real Madrid match in the La Liga is being played by at Leganés home stadium, Estadio Municipal de Butarque. Which channel will telecast the Leganés vs Real Madrid match in the La Liga 2018-19 season? Leganés vs Real Madrid match in the La Liga will be telecasted on Sony ten network. How to watch the live streaming of Leganés vs Real Madrid match in the La Liga 2018-19 season? The Live streaming of Leganés vs Real Madrid match in the La Liga will be available on La Liga’s official Facebook page.